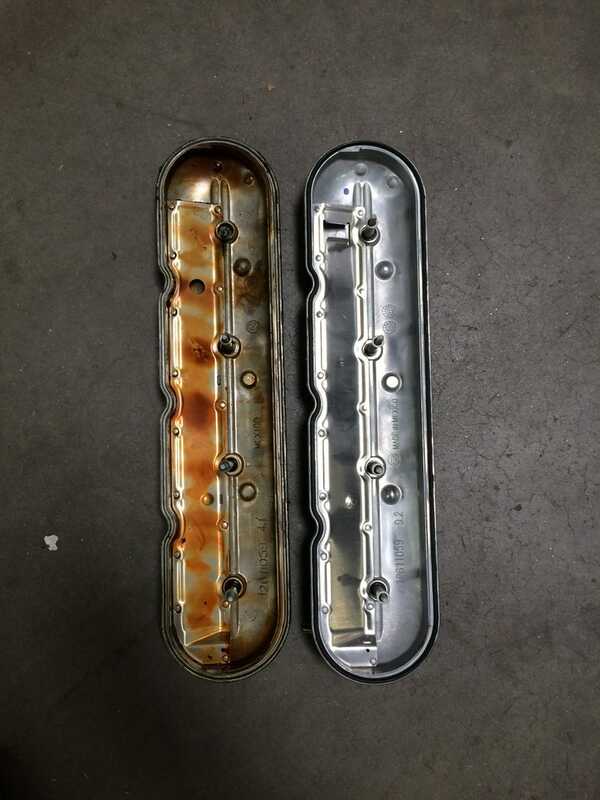 If any Oppos have been losing oil or fouling up the cylinder #1 plug on their 5.3L, replace your old driver’s side valve cover with an updated one. The new cover was $80 and it took about thirty minutes. Apparently the hole for the breather tube causes oil to drip straight into the cylinder when the engine is running on four cylinders. The new cover supposedly remedies that by moving the location of the hole.